Free-to-play social game developer Kabam has today announced it has acquired two Los Angeles-based game studios: TapZen and Magic Pixel Games. The terms of the deal were not disclosed, by TapZen founder Mike Verdu will join as a new executive on the Kabam team. Both studios will merge into a Kabam-braded Los Angeles studio near Culver City. Free-to-play social game developer Kabam has announced it has acquired two Los Angeles-based game studios: TapZen and Magic Pixel Games. The terms of the deal were not disclosed, but TapZen founder Mike Verdu will join as a new executive on the Kabam team. Both studios will merge into a Kabam-branded Los Angeles studio near Culver City. 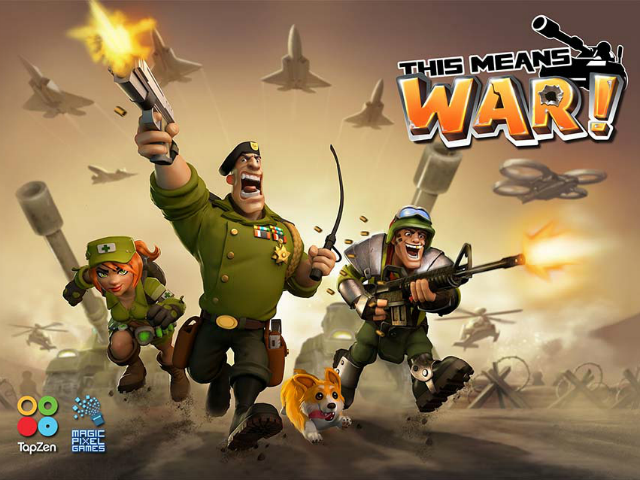 TapZen was formed in 2012, and worked with Magic Pixel Games on the creation of the military strategy game This Means War, which hit iOS last summer. Verdu was previously the chief creative officer and co-president of Games at Zynga, where he helped launch titles including FrontierVille, CastleVille and Empires & Allies. As some of Kabam’s most popular titles have already dealt with major film franchises (The Lord of the Rings, for one), this new LA-based studio will help Kabam grow its relationships with Hollywood studios. The team will also strengthen the company’s lineup of strategy games, which already includes franchises like Kingdoms of Camelot and Dragons of Atlantis. The acquisition of TapZen and Magic Pixel Games takes Kabam to nine acquired studios since 2010. Other acquisitions include Underworld Empire developer Phoenix Age in 2014 and Exploding Barrel Games in 2013.